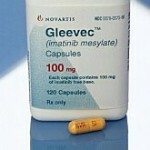 Last week, I read this highly critical post by Darren Smyth, on the fantastic IPKat blog, where he takes apart some of the analysis in the Supreme Court’s judgement denying Novartis a patent for Glivec. Darren’s analysis had very accurately identified a significant flaw in the judgement and let’s just say that he doesn’t mince his words when he takes to the pen or the keyboard. Since we have had almost no critical commentary on the judgement so far, I invited him to write us a guest post on the issue. I do hope, some of our other readers send in such guest posts, there are a lot of problematic portions in the Novartis judgement of the Supreme Court and I understand that not many in India want to be seen criticizing the judgement but honest academic criticism never really hurt anybody. 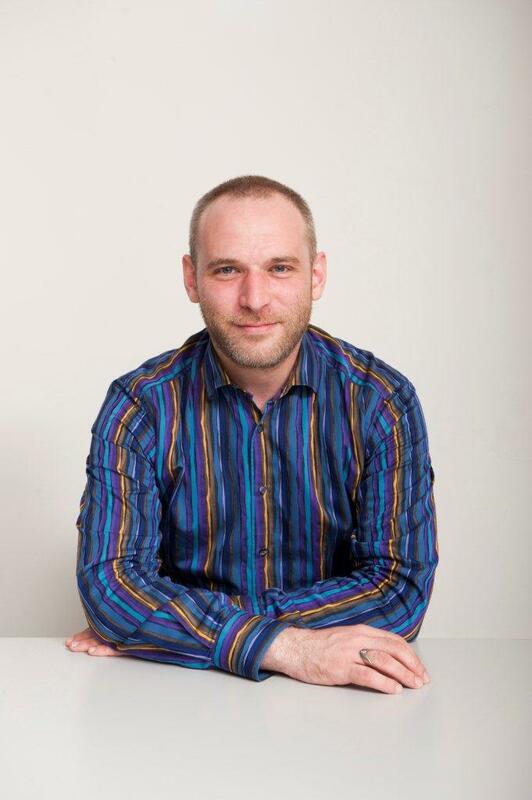 First a little bio about Darren: Darren Smyth is a UK and European patent attorney, specialising in chemical subject matter, particularly in the fields of food products and pharmaceuticals. He is a partner in the intellectual property law firm EIP and head of the chemistry practice EIP Elements. 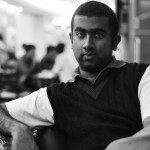 He contributes to the IPKat weblog, and also maintains a personal blog the IP Alchemist (www.ipalchemist.com). He holds an MA in Chemistry and DPhil from Oxford University, and conducted research at the Tokyo Institute of Technology before entering the patent profession. Last week, I posted on the IPKat a piece that identified significant deficiencies in the decision of the Indian Supreme Court in the Glivec case. At the kind request of the Spicy IP team, I would now like to amplify that post. In particular, the IPKat post was directed towards a readership that would (I believed) immediately appreciate wherein lies the error in reasoning, once it was pointed out. But perhaps the fallacy in the logic requires greater exposition. I cannot emphasise enough that I am NOT talking about the part of the decision that refers to Section 3(d). Nor am I particularly criticising the outcome of the decision – the refusal of the patent application – I don’t agree with it, but neither do I consider it particularly heinous. The novelty analysis is however a dreadful piece of jurisprudence, and should not be allowed to escape criticism merely because it lies in an early part of the analysis. What the Supreme Court did was to confuse the examination of whether a patent is infringed with the examination of what that patent, as a document, discloses. To determine whether a patent is infringed, the comparison that is conducted is whether the alleged infringement reproduces all of the features of the claims (specifically, of the broadest independent claim). If those features are reproduced in the alleged infringement, then it infringes. But it is important to appreciate that this applies irrespective of what additional features the infringement may have. So if the claim is to “imatinib or salt thereof”, then this is infringed by imatinib, or any salt (including the mesylate), in any physical form such as amorphous or crystalline, in combination with any other pharmaceutical, or any excipient, in any dosage form or packaging or whatever. On the other hand, to determine whether the same patent document as a prior art document anticipates a later patent application, the comparison is of the claimsof the later application with the disclosure of the prior document. If the prior document discloses all of the features of the claims of the later application, then the later application lacks novelty. It requires a little careful thought, but it is not difficult to see from the foregoing that a patent can be infringed by something that it does not disclose. For example, the earlier patent that claims “imatinib or salt thereof” would be infringed by a combination pill containing imatinib with another pharmaceutical, even if it had no disclosure of any such combination. But if it had no such disclosure, it would not anticipate a later patent application with claims directed towards the combination of imatinib and another specific pharmaceutical. (I am not necessarily saying that such a combination would be patentable – it might not involve an inventive step, or it may not be allowable under Section 3(e) of the Indian Patents Act, but it would be new). This distinction comes from the logic of what is being compared with what: the features of the infringement with the claims of the prior patent in the first case, and the claims of the later patent application with the disclosure of the prior patent in the second case. It does not rely on any particular national law regarding novelty or patentability and is therefore, I suggest, universal. But what the Indian Supreme Court did was to say [see paras 125 – 126 of the judgment; Novartis counter-arguments at 134-138, and their dismissal at 139 – 157] that because Novartis had alleged, in relation to the UK designation of the corresponding European patent, that their prior patent was infringed by imatinib mesylate (by the marketing in the UK by NATCO Pharma of a drug called VEENAT 100 containing imatinib mesylate as the active ingredient), therefore that patent disclosed imatinib mesylate. The Supreme Court thereby committed a basic category error of the variety frequently encountered in first year trainee patent attorneys. 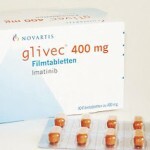 (The criticisms in the judgment of Novartis in relation to referring to the patent in the application for US regulatory approval for imatinib mesylate, and obtaining a US patent term extension for the patent [see paras 115-122 of the judgment], commit the same category error so for simplicity I shall refer only to the infringement one). I suspect that some readers may take issue with my analysis and say “Just because the law of other countries distinguishes between the scope of a patent for the purposes of infringement and its disclosure for the purposes of prior art, it does not follow that Indian law must do so.” This is the view reflected in the quoted paragraph above. But it is not a question of any particular legal theory, it is a matter of logic. It is actually not logically possible to conflate infringement and disclosure, because the comparison being made in each case is not the same. Put another way, the advancement of knowledge is always made within earlier generic knowledge, so if this view were taken of novelty, then nothing would ever be new. And actually the Indian Supreme Court implicitly recognised the error of their logic, because they only applied it halfway. They found the mesylate to lack novelty because it infringed the earlier patent, but they balked at the logical next step, of finding that the beta crystalline form, which would certainly also infringe the patent, also lacking in novelty. The Supreme Court took the beta crystalline form to be new . If the conflation of infringement and disclosure tests is valid, then in fact not only the mesylate but also any specific crystalline form should lack novelty. The fact that this did not happen shows that the Supreme Court actually in some manner realised the flaw in the logic. Why does it matter? Well, first of all it is essential that courts, particularly senior courts, apply the basic law correctly, because otherwise their utterances lack credibility. Secondly, it is particularly important that novelty be correctly determined, because it is to the new subject matter that any subsequent patentability test (inventive step, Section 3(d) etc.) is applied. So if the novelty foundation is defective, then the whole edifice of the judgment is liable to crumble. The Supreme Court, based on this flawed novelty argument, insisted  that the comparison for Section 3(d) was between the amorphous (non-crystalline) and beta crystalline forms of imatinib mesylate, rather than, as Novartis probably correctly argued, the beta crystalline form of imatinib mesylate and the free base form imatinib. If the novelty assessment had been conducted properly, perhaps the result would have been quite different. I completely agree with Darren’s analysis that the scope of the claim cannot be equated to the disclosure in a specification and the Patent Act itself supports this distinction, when it provides grounds such as insufficient disclosure and a claim not being fairly based on the disclosure to invalidate an overly broad claim. Darren’s post was quite a thought starter…. However, I wanted to share my immediate views in order to get more clarity. It is stated in the judgement that the notice from Novartis to Natco mentioned that their earlier patent covered Imatinib and its acid addition salt such as mesylate….and it is important to note that the statement was not that Natco’s product uses Imatinib base protected under the said Zimmerman patent and is therefore infringing! The same is also reflected in the statements made by Novartis in the application for NDA. I do not see a reason for the court to ignore all these statements made by Novartis while examining at least what was the known substance immediately before the beta crystalline form of Imatinib mesylate. Therefore, it was concluded that the “known substance” for the crystalline form of Imatinib Mesylate was Imatinib Mesylate and not Imatinib base and the therapeutic superiority should be accordingly compared with the known substance. However, in absence of/upon ignoring the statements of Novartis referred to above, Imatinib mesylate would have been a new salt (in view of their earlier patent) which did not involve inventiveness (as they are prepared from the known processes per se resulting in predictable properties. Looking forward to further discussion on this! I would be interested to know how precedent works in India. If this judgment has set a precedent for the assessment of novelty, will lower courts be bound by its reasoning? What will be needed to overturn such precedent, if set? Not that I disagree with you, but aren’t questions of infringement something of a sideshow? Isn’t the key point simply that a generic disclosure is not novelty destroying for a later more specific one? Your article and analysis seem spot on to me, but I’m not sure how anyone could disagree. @ DAB: Please send in a guest post on that aspect and we will publish it. Darren himself makes an assumption that may not always be true. Darren assumes that in every legal regime, a patent claim to a genus (“imatinib or salt thereof”) can be broader than the species which the patent specification discloses. But some legal regimes may limit such claims to the specific salts thereof disclosed in the specification (see, e.g., how means-plus-function claims are treated in the U.S.). If this were true of UK patent law, then Novartis’ allegation that their prior UK patent was infringed by imatinib mesylate is also an admission that the specification of the prior UK patent discloses imatinib mesylate. I don’t know the state of UK law, but thought it worth clarifying this assumption of Darren’s. No, he doesn’t. Please read what he wrote. I am no expert in law, but how does “admission” by Novartis becomes a matter of fact to decide a matter of law? I presume when I sue someone for infringement, I do it so on my “belief”, which may be based on a sound analysis but still it does not reduce to “fact” until a court really rules in my favour. Why did SC not conduct its own novelty analysis? And when the little that they did, why it then deduced non-novelty by infringement tests? Tomorrow, infringement law suits will determine novelty of an invention in the country? While I fully agree with your analysis, I wonder how your view reconciles with the doctrine “That which anticipates if earlier, infringes if later”. I am a law student who has thoroughly enjoyed this stimulating discussion. 1. I understand the basis of Darren’s view but it comes across as counter intuitive. Simply put, my invention can infringe your patent and at the same time be patent eligible. Isn’t this an anomalous situation? 2. My understanding of anticipation is limited to mr Basheer’s academic intervention. As I understand, an invention is anticipated if there has been disclosure and enablement. So doesn’t anticipation destroy novelty AND inventive step? and by implication, doesn’t lack of anticipation mean that an invention could still lack novelty OR inventive step? I have seen a trend. Almost all lawyers are conflating infringement and novelty, as in the above comment. Technical guys are quite clear on that. If an invention is infringing a patent, why will that patent “anticipate” the invention? These are two totally separate issues. And also, regarding that infringement if later doctrine, I think it still holds good if the disclosure is not enabling. Inventor A invents the bicycle (of course, the bicycle was invented quite some time ago, but let’s ignore that matter for the purpose of this argument) and patents it. Then, inventor B, inspired by the disclosure in inventor A’s patent, ponders how he may improve on that great invention, so he has the idea of incorporating a gear change on the (patented) bicycle. He proceeds to patent the combination of bicycle + gear change, which in this hypothetical example would be novel and inventive. However, inventor B wouldn’t be able to use his own patented invention without infringing inventor A’s patent. A bicycle with a gear change remains a bicycle, and inventor A has patented that. It would indeed become altogether too easy to circumvent a patent by adding pointless features if novelty prevented infringement. So, where does that leave inventors A and B? Well, if they are on reasonably good terms, it would be a good idea for them to negotiate a cross-licence, with inventor A giving inventor B a licence on his bicycle patent in exchenge for a licence on inventor B’s geared bicycle patent, so that both would be able to produce geared bicycles while enforcing their patents against other competitors. If the patents were of different value, the cross-licence could be complemented by royalty payments from one of the inventors to the other. This sort of negotiation is extremely common, in particular in complex technology fields involving a myriad small (but patented) improvements. A single smartphone may involve thousands of patents owned by hundreds of different companies. My analysis is fully consistent with “That which anticipates if earlier, infringes if later”. (Incidentally, this is usually expressed the other way round). Imatinib mesylate infringed the earlier patent. If it had been available to the public before the earlier patent (which it wasn’t) the earlier patent would itself have been invalid. This is true but irrelevant to the patentability of the later patent application. It is important at all stages to be completely precise about what (embodiment) is being compared against what (claim). If this is done, it is hard to fall into error. From what I can see, mistakes occur when this precision is lost. 1. My invention can indeed infringe your patent and be patent eligible. This may be counter intuitive but it is absolutely true, and not only in rare exceptional cases, but all the time. 2. If the claims of a patent application lack novelty then they are also considered to lack inventive step. Inventive step analysis assumes claims with novel features. So you are correct that lack of anticipation done not preclude the invention being unpatentable for other reasons, such as lack of inventive step. You’re right that there was some conflation between tests of infringement and anticipation. However, the determination that “imatinib mesylate” (non crystal form) was the known substance was based also inter alia on the finding that the patent application covering the imatinib free base itself disclosed this salt form and made a clear statement that the said salt form could be prepared through “known processes”. That it could not be prepared by “known processes” was never controverted by Novartis during its arguments. To me, it would appear that the court was therefore right in construing Novartis’ admission as negating the novelty of the salt form. I think courts are well within their rights to construe such as an admission thus. I’m not sure that our legal system necessarily pre-empts such a finding or that it is egregious in that it violates some fundamental sense of international patent law that we are bound by. What would UK courts have done in such a circumstance? And even assuming UK courts would still have held IM to be novel, is there something fundamentally egregious about the way Indian courts decided to use Novartis’ admission against itself (hoist by it own pertard, so to speak) . I would think its a fairly reasonable inference to make. I’m not a great fan of always wedding ourselves to Western constructs of patent law, simply because they took the first shot at it. The US Supreme Court reversal of countless doctrines emanating from the allegedly expert IP court called the CAFC perhaps gives us enough cause for caution in blindly following western constructs of patent law, when our own statutory framework permits us leeway to proffer a different interpretation. Lets not forget that patent law is motivated in large part by socio-economic considerations and India’s national considerations in heightening patent standards (to favour generics and public health imperatives) may not be in tune with the US or EU’s favouring of a relatively liberal standard. Perhaps its a good thing we think differently on this count. And if our Supreme Court was well within reason to construe IM (imatinib mesylate) as a known substance (not violative of some grand notion of international patent law), then it was again well within reason to use IM against BC (beta crystal) form of IM for the 3(d) analysis…. But the finding that the patent application disclosed the salt form was based on an erroneous analysis, as I think from your comments that you basically agree. My point is that this should surely therefore contaminate the 3(d) analysis. I said “probably” in my post because I accept that 3(d) is Indian law, and there may just be an argument that “known” for the purposes of 3(d) means something different from the opposite of “new” under the law of novelty, although I have difficulty seeing it. (And I have difficulty seeing the benefit of defining a new legal construct just for the purposes of 3(d)). Processes for making salts in general are known, but are you really saying that this fact alone means that all salts are disclosed and known as such, each one, individually? Are you really saying that you consider that a document makes “known” everything that it discloses AND everything that can be made by any known process from that? I think that this leads to catastrophic expansion of the prior art, and results in the starting point for 3(d) analysis being something that never in reality existed in the prior art. I am disappointed by your comments about “western constructs of patent law”. All I am asking for is reasoning that is logical in its own terms. 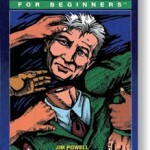 Once you do that, you have freedom to decide the direction in which the law develops. If you don’t have that then you have chaos. At no point did I say that Indian law should take any particular direction. But if you cannot keep a careful eye on basic concepts of patent law, then you cannot make a reasoned decision about how to develop the law. You say “if our Supreme Court was well within reason to construe IM (imatinib mesylate) as a known substance”. The Supreme Court was within reason only if its reasons were reasonable. They were not. They were sloppy and confused. That is the problem that I have. Again, this comment is really reflective of my earlier worry that many of us are wedded to a construct that we’re familiar with i.e. a construct that emanated predominantly from US and EU case law. Why should India follow this construct? And why would our construct be any less logical simply because it is different than yours. Surely, there is some value in diversity and thinking for oneself …rather than blindly following the herd, a herd that pretty much had its “national” interest in mind when it articulated its own patent principles. You go on to admonish the Supreme Courts’ reasoning as sloppy and confused. I think they were pretty clear at least on this count. The apex court held the way it did owing to Novartis’s admission in the patent document that the salts specifically outlined in the patent (including the methane sulfonic salt) could be prepared by “known processes”. Do recall my earlier point that Novartis never ever controverted this point. If Novartis knew that the salts specifically disclosed (including Imatinib Mesylate) could not be prepared by “known processes”, why did it state so in the patent application? One might be tempted to answer “standard practice”. Well, the court is well within its right to disregard a standard practice that is so obviously wrong under a grammatical and dare I say “logical” construct of the English language. To me, the court did something commendable here: it helped infuse basic common-sensical evidentiary wisdom into patent law. A field that certainly deserves more of such infusion and less of the hyper technical esoteric wisdom that we (patent specialists) often clothe it with. I think there is a factual issue here. You say “Novartis’s admission in the patent document that the salts specifically outlined in the patent (including the methane sulfonic salt) could be prepared by “known processes”.” But the methane sulfonic salt was NOT “specifically outlined in the patent” and I do not believe that Novartis admitted that it was. Methods of making salts in general was known and I understand admitted to be known, but the specific salt as such was not. Furthermore, you say that the Court held this for that reason, rather (I presume) than for the erroneous reasons that I criticize. But that is the problem with erroneous reasons, they contaminate the whole judgment because you cannot see what the real reason was. I think I have made it clear why I don’t think it will do to call it “different logic”. If you have patents with claims, infringement, and novelty, the basic tenets of what you compare with what to decide each matter is not a matter of personal taste, it is a matter of absolute logic. Mixing them up is simply wrong, not some supposedly valid alternative logic. You consider that the Court “helped infuse basic common-sensical evidentiary wisdom into patent law”. One of the most fundamental tenets of the law of evidence is that irrelevant evidence is inadmissible, and to my mind precisely what the Court did wrong was to allow itself to contaminate its patentability decision with completely extraneous evidence about legally different matters. I am sorry but I cannot begin to agree with you. I think you need to go back and read the Zimmerman patent (93 patent covering the imatinib free base) and the SC decision again. If this is not “disclosure”, I wonder what is? Novartis then goes on to admit in its patent specification that all acceptable salts including salts from acids it specifically mentions (such as methane sulfonic acid) could be formed in accordance with processes “known per se”. I really wonder how this is “irrelevant evidence” or illogical. To modify the title of a well known TV show: “Whose logic is this anyway”? Finally we may be getting somewhere although I think we are possibly still somewhat at cross purposes. I am perfectly aware of the passage from Zimmermann that you quote and I quoted it in my original IPKat article. I even indicated how this might be used to frame a logical rejection of the case. Your setting out of such a rejection in your previous comment is also quite logical. But I don’t see the Supreme Court judgment doing this – I see it then going on to consider the matters that I have called irrelevant and logical, namely the US patent term extension, infringement in the UK, and the US marketing authorisation for the drug. Then, as I said in a previous comment, “that is the problem with erroneous reasons, they contaminate the whole judgment because you cannot see what the real reason was”. As I think you and I are agreeing, there was arguably enough in the Zimmermann disclosure itself without having to contaminate the reasoning in this way. The Supreme Court judgment quotes the first bit of this. In your comment you add “…such as methane-, ethane..”, quite correctly. Don’t you think it odd that the Supreme Court judgment did not cite the bit that you and I would consider the most relevant disclosure if you are considering whether the mesylate is disclosed as such or not? Just re-read this and my first comment at 3.51 “irrelevant and logical” should of course read “irrelevant and illogical”. Apologies. I guess we’re close to closing this thread then. As I’d mentioned when I started out responding to your extremely incisive and thoughtful post, I did agree with parts of your analysis. But I couldn’t help but disagree with the bit where you imply that there were no credible reasons within the SC decision to negate the novelty of Imatinib Mesylate. I argue that there was at least one good ground….the admission in the Novartis patent specification itself! Sure the court did not reproduce the entire specification part leading upto the “methane” part–but it did point to the para in question and mentioned sulfonic….may not have been absolutely accurate, but surely it does not impair the novelty finding on this count in a manner serious enough to label the courts decision as illogical and arbitrary. All of the above notwithstanding, I must commend you for forcing many of us to acknowledge the various chinks in the decision and to reexamine it with a little more analytical rigour. I agree that we may be close to closing this thread, and we have reached such common ground as we can. Firstly, to the anonymous preceding you, however, I should just say that your comment does not seem to have taken into account anything I said in my posts, so I cannot see how to begin to respond. Back to you Shamnad, while you see one good ground in the decision, I see one ground that might have been used, but which the decision itself does not make clear was used. As I hope all of my posts have made clear, my concern is not with the final outcome of the decision, but the route by which it is achieved. I did not (and do not) dispute that lack of patentability was a finding open to the Supreme Court, whether or not I might agree with it. (My view as to the correct final outcome does not particularly matter.) But I have argued, and I still believe, that a court should reach that outcome by applying relevant considerations in an accurate way. And this criticism does not relate specifically to India – I put forward the view that this seems to be an issue with superior courts in general. I do have one gripe with your last comment, the reference to “the admission in the Novartis patent specification itself”. Assuming by “the Novartis patent specification” you mean Zimmermann, I think you are talking about its disclosure. This is not an “admission”. And novelty must be determined objectively, so it does not actually matter that it was a “Novartis” prior art. It discloses whatever it discloses, whoever it belongs to. I completely agree that it is not illogical or arbitrary to refuse the Novartis patent application on the grounds of lack of patentability over Zimmermann, but if that is indeed the ground, then that ground needs to be clearly articulated on the basis of the disclosure of Zimmermann. I understand that you see the decision as being sufficiently articulated in this regard. I fear I still retain my doubts. I am also thinking that the case is actually rather simple, as patent cases go. I don’t think I am being too harsh in opining that a senior court could have done better. One might even venture to suggest that if the Indian Supreme Court wished to depart from the norms of patentability that are prevalent elsewhere, then it would be appropriate to display an accurate awareness of what those norms are. I didn’t go that far in my original post, but it is an idea that has been in my mind in the meantime. Thank you again for your comments which have helped advance my understanding of this case. We’ll just have to agree to disagree then. Unlike you, I think there was at least one solid ground that the Supreme Court relied on and it makes it fairly clear that it is relying on this ground. The fact that it did not cite the entire paragraph in the patent specification does not make its decision on this count illogical or fanciful. Also I’m not a great fan of the rather insular way in which many tend to view patent law…I’d love to see a greater infusion of general legal concepts and wisdom into patent law….I use the term admission in that sense… by stating rather clearly in its patent specification that the mesylate salt could be produced through known processes, Novartis was effectively hoisted by its own petard….